The flexible Panther Hot Cupboards keep food in perfect condition. 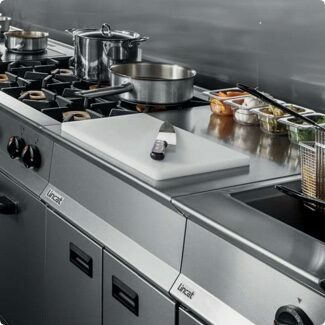 The Panther range of robust Hot Cupboards includes both static and mobile models, meaning that whether you’re looking to transport food, form a servery, or a kitchen pass, you’ll find the perfect solution for your needs. The hygienic cupboards are built for ultimate flexibility. 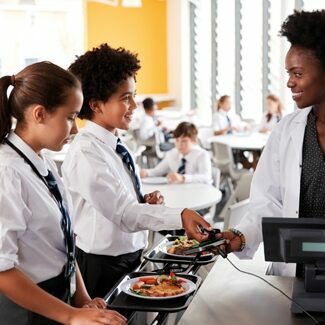 They come in different length options and you can also configure the unit to your exact requirements — by selecting a plain top or bain’s marie top as well as adding items such as tray slides, gantries and sneeze screens. 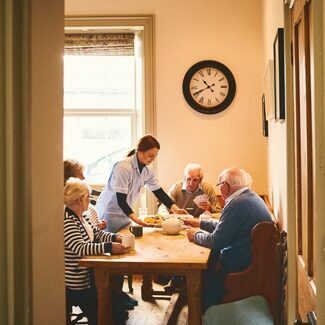 The smaller 670 model (670mm wide) is made to fit through narrow doorways, making this model perfect for care homes where plated meals are transported from the kitchen to the residents. The larger 800 model (800mm wide) has the capacity to hold and transport high volumes of food. It’s perfect for carveries. 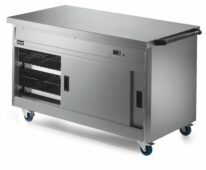 The larger 800 model (800mm wide) is ideal for moving prepared dishes to different locations in the perfect condition. Great for school lunchtimes. 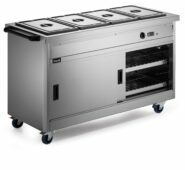 The static light duty hot cupboard is designed for establishments where space is at a premium or where budgets are tight. Hold and transport your meals in the perfect condition with Panther. 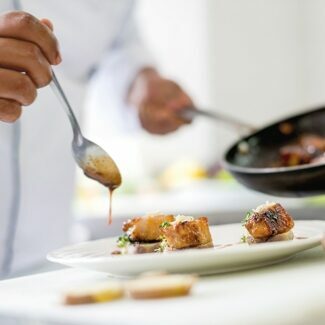 Perfect food stays perfect.